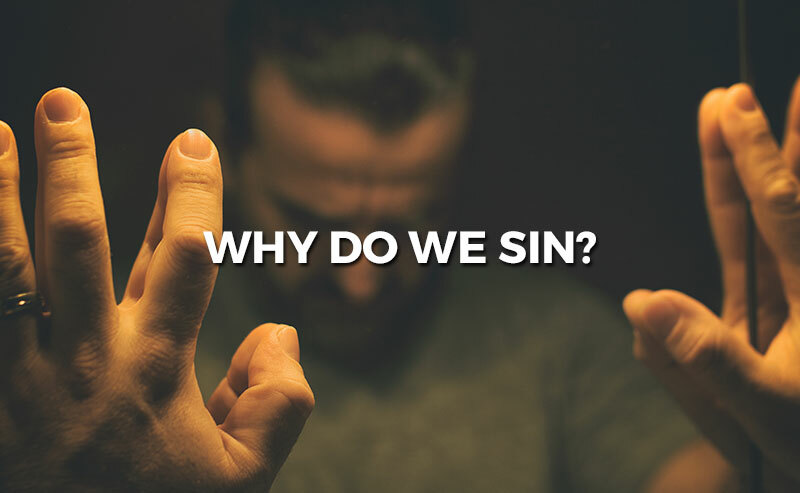 Blog Why Do We Sin? I know I’m not supposed to sin. I realize it is going against God’s perfect design.” So, why do I? I would argue from both experience and scripture that we sin because we believe a lie. And not just a lie, but the lie behind the lie. In Genesis, we encounter the story of the fall. The woman is standing in front of the Tree of Knowledge of Good and Evil and faced with a dilemma. God commanded her not to eat of it, but it was good for food. It was pleasing to the eye. Now, I certainly will not argue the pleasure sin brings, as fleeting as it may be, it still brings pleasure. Whether it’s the sin of pride, lust, greed, etc., it satisfies at a basic level. However, when we start to seek scripture and discover who God is and what he desires, we find that premise to be false. All throughout scripture, there is a particular theme when it comes to sin. Sin kills, destroys, and leaves us feeling empty. Conversely, God gives life, restores, and fills us up. So, again, why do we sin? Well, as I stated above I believe it is because of the lie behind the lie. The first lie is that God is lying, simple as that. He doesn’t want you to have fun. The second lie is slightly deeper, though. It’s the lie that sin satisfies even with the knowledge that God also satisfies. We often believe God satisfies, but we also believe sin satisfies. We treat the two opposing views as if they are equal truths. They are not. What we find in scripture is an overwhelming amount of evidence pointing to God being the only source of satisfaction. The scriptures have endless proof that God is this for his people. Yet we continue to sin. Is God truly satisfying? If you are a Christian, then you can’t deny this truth. Ok, so he’s satisfying, but is he pleasurable? And that is where we get deceived. Although I would argue that satisfaction is linked to pleasure (possibly the same in most cases), most of us don’t make the connection. We see God as satisfying in the sense that he is barely sufficient. Meaning, that he can adequately meet our needs but never satisfy our lusts. So, in one sense God is good, faithful, true, and righteous. But, in another, he is missing a key ingredient that we believe we need to be happy. Pleasure. In short, God can’t make me truly happy. However, once again the notion is crushed by scripture. I find it interesting that the Psalmist chooses to use the word “forevermore” here. It would have been enough, I think, to just end it with “pleasure”. Certainly, we would have no argument as Christians that God isn’t pleasurable. But he uses “forevermore” intentionally, knowing the implications of it. We need to look no further than the cross of Jesus Christ. For in the person and the work of Jesus, we will experience pleasure for eternity. I pray we put aside the fleeting “pleasures” of sin and cling to the ledge of God’s great grace. For on that ledge, we will find a savior who not only lifts us up but is ready and willing to show us the vastness of his glorious joy.